Whether you're out in the country at a barn auction or enjoying an exclusive event sponsored by a high-end auction house, there's nothing like a live auction to get a collector's adrenaline flowing. The truth is, though, anyone can bid at an auction. To bid skillfully and come away with what you want at the best price takes a bit more finesse, not to mention restraint at times. Take a look at the steps below to glean a few suggestions to help you bid successfully and fully enjoy the live auction experience. Arrive at the auction house early to hold a chair in a location where you'll be able to see and hear. Carefully inspect the items you're interested in purchasing. Look for damage, missing parts, and other condition issues. 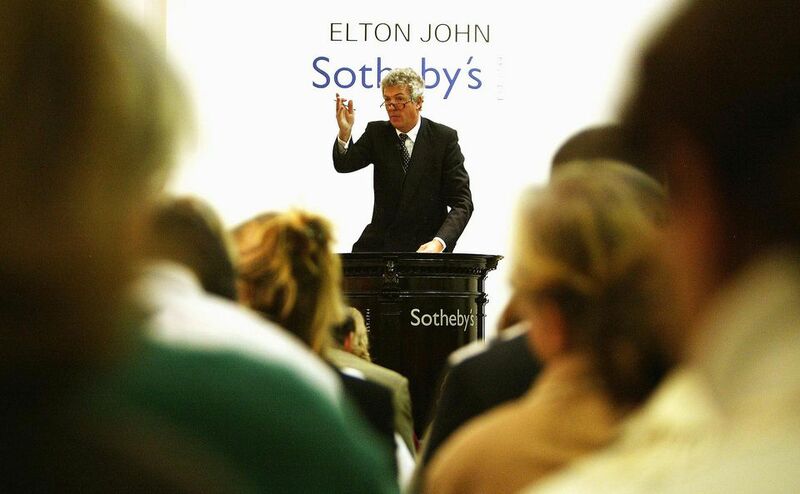 This is one of the most important steps in bidding successfully at an auction. Take notes on condition and lot number of the items you're interested in purchasing to reference once the auction begins. This is the second most important thing you'll do to prep. It's impossible to remember details once the auction begins if you haven't taken notes. Before the auction starts, review any reference guides you brought along or consult your smartphone to determine the maximum you're willing to pay for each lot on your list and record it in your notes. Also, inquire about whether or not a buyer's premium will be added on to the hammer down the price so you can adjust your bidding accordingly. Register for a bidder's number well before the auction begins to avoid missing any of the action. Follow the action and bid as planned on items you've already inspected. Take careful notice of the maximum price you set for yourself on each lot and do your best not to get caught up in an auction frenzy that may make you exceed your spending limit. Only bid over your maximum price if you know you'll regret leaving the piece behind. And don't bid on items you have not inspected carefully. If things are selling for a bargain price, there's often a reason for that. Others may have noticed condition concerns. Don't look back if you lose a bid. Congratulate yourself for keeping your impulse spending in check and move on to the next item of interest. Take your time inspecting lots you may be interested in purchasing for condition issues since most auction items are sold "as is" with no returns. Be respectful of others trying to see and hear the auctioneer. Take your seat while bidding is in progress unless you can stand out of the way. Ask what payment forms are accepted and find out if the auction house charges a buyer's premium before you bid. A buyer's premium can tack on up to 30% to the hammer down the price. Inquire about hauling/delivery concerns before you make a purchase as well. Especially when auctions are clearing out an estate, large items cannot be held after the sale concludes.